In my later years (well, let’s be honest, my late twenties…I am only 30!) I have become more and more environmentally conscious and, in some respects, a complete sucker for anything organic. Once you start reading up on petrochemicals, the harm they do to our planet and, equally disturbingly, the harm they do to your body, I can guarantee that you’ll start to think twice. If you’re like me & have started leaning towards injecting your system with more all-good, no-nasties products and less chemically-enhanced big-brand products, you will find Origins a dream come true. Whilst the brand is not strictly speaking “certified organic”, all Origins products are formulated with natural and certified organic ingredients as well as 100 per cent natural essential oils. None of the products contain parabens, phthalates, propylene glycol, mineral oil, PABA, petroleum, paraffin, DEA or animal ingredients. 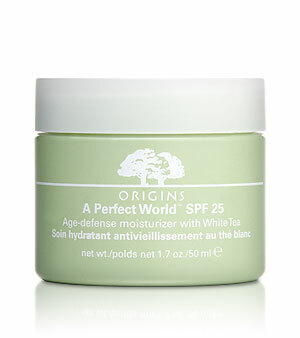 I don’t know about you, but that alone makes me rest super easy when using Origins on my skin. I really can’t say enough good things about this brand, available at most high-end department stores like Selfridges in London. If you’re keen to try it out, but don’t know where to start, I can personally vouch for the award-winning A Perfect World SPF 25 Age Defence Moisturizer with White Tea (light as a feather & exquisitely soft), Checks and Balances Frothy Face Wash (for combination skin) and the Modern Friction gentle exfoliator. The Ginger Souffle Whipped Body Cream and Clear Improvement Active Charcoal Mask (both award winning products) are equally amazing.